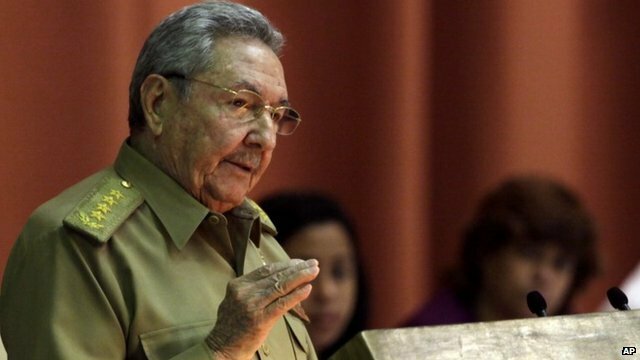 Cuba’s President Raul Castro has called for “civilized relations” with the US, saying the two countries should respect their differences. Raul Castro said the US should drop its demand for regime change on the communist-run island. That would allow both sides to continue work on improving relations, the president said. Raul Castro’s comments follow a public handshake with President Barack Obama at the memorial ceremony for Nelson Mandela in South Africa earlier this month. In a rare public speech, Raul Castro said Cuban and American officials had met several times over the last year to discuss practical matters, such as immigration and the re-establishment of a postal service. That shows that relations can be civilized, Raul Castro explained. The US broke off relations with in 1961 after the revolution and maintains an economic embargo against the island. “We do not ask the United States to change its political and social system, nor do we agree to negotiate over ours,” Raul Castro told legislators at the closing session of the parliament in the capital, Havana. Raul Castro, 82, took over from his brother, Fidel, in 2006. Fidel Castro had serious health problems and was never able to come back to power. Two years later, he resigned and transferred control permanently to Raul Castro. He has since carried out a programme of economic reforms, which has helped efforts for relations with the US to be improved. But critics say the pace of change has been too slow. “The reform process in Cuba cannot be rushed or it will lead to failure,” Raul Castro warned. Among the most recent changes announced by Raul Castro is the end of restrictions on private individuals to buy new and second hand cars. Anyone with enough money will be allowed to order the vehicles from a government dealer. Until now, only those who were given a previous government authorization were allowed to buy cars in Cuba. JibJab's 2013 Year in Review: What A Year!